The KJV Super Giant Print Reference Bible, Classic Edition features a traditional and elegant design that captures the beauty and elegance of the King James translation. With extra large, easy-to-read 16-point type and is perfect for devotional reading, personal study, or to carry and use at church. The super giant type makes this Bible easy-to-read for those who have diminished or impaired vision. Features include: Smyth-sewn binding, presentation section, comes in a nice slip case, two-column text, end-of-paragraph cross-references, topical subheadings, Words of Christ in red, 16-point type, concordance, and full-color maps. 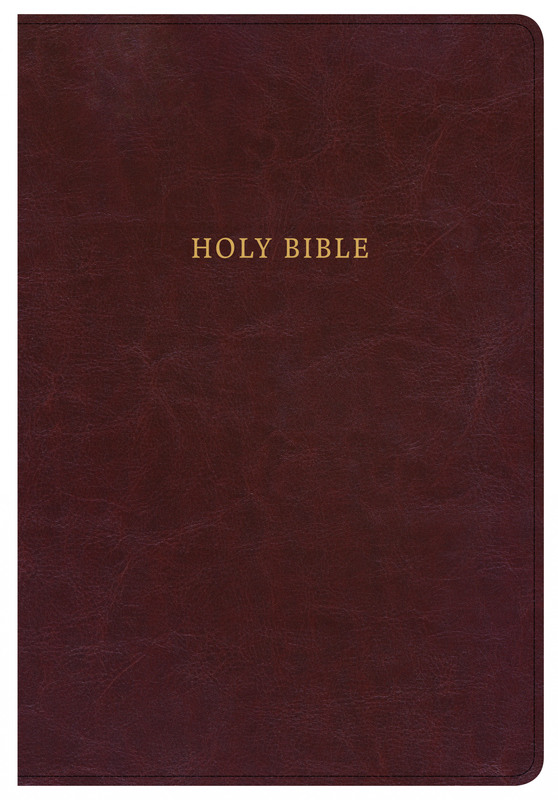 The KJV Super Giant Print Reference Bible, Classic Edition features the authorized version of the King James version (KJV). The KJV is one of the bestselling translations of all time and captures the beauty and majesty of God’s Word for those who love the rich heritage and reverent language of this rendering of the Holy Bible. KJV Super Giant Print Reference Bible, Classic Burgundy by CSB Bibles by Holman, was published by Holman Bible Publishers in June 2018 and is our 6595th best seller. The ISBN for KJV Super Giant Print Reference Bible, Classic Burgundy is 9781535905558. Be the first to review KJV Super Giant Print Reference Bible, Classic Burgundy! Got a question? No problem! 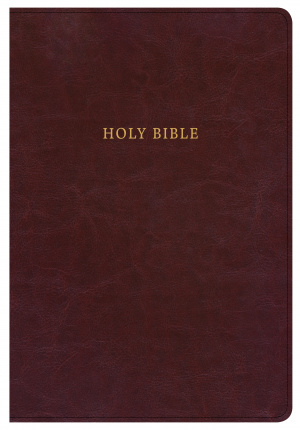 Just click here to ask us about KJV Super Giant Print Reference Bible, Classic Burgundy.